The bathroom is one of the most significant rooms in the house and has been a part our everyday life. Your bathroom or powder room should be a serene, simple and comforting spot for your guests and family. 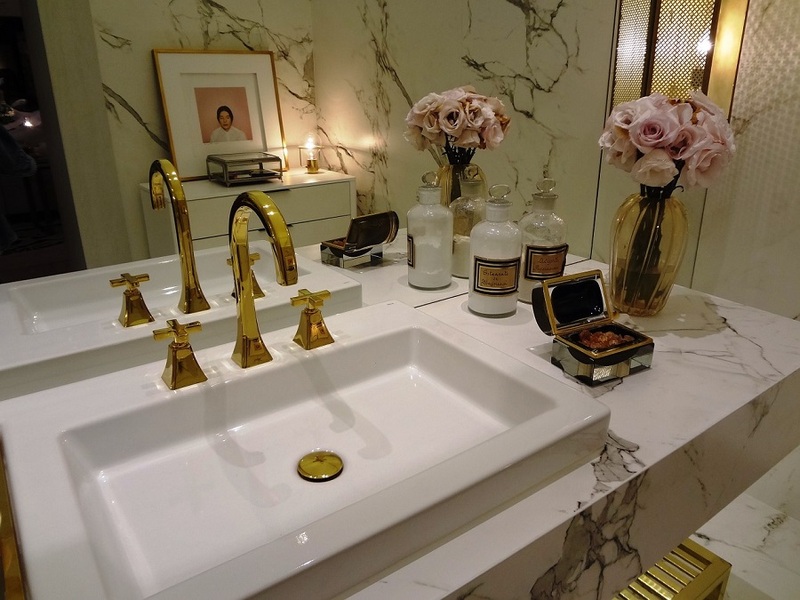 The bathroom is generally the first place you stumble into at beginning of your day, and often the last place you visit before retiring for the night. There is great selection of affordable lighting fixtures available in the market. Replace outdated lighting fixtures with new ones from your home improvement store. Be original and creative when upgrading lighting. 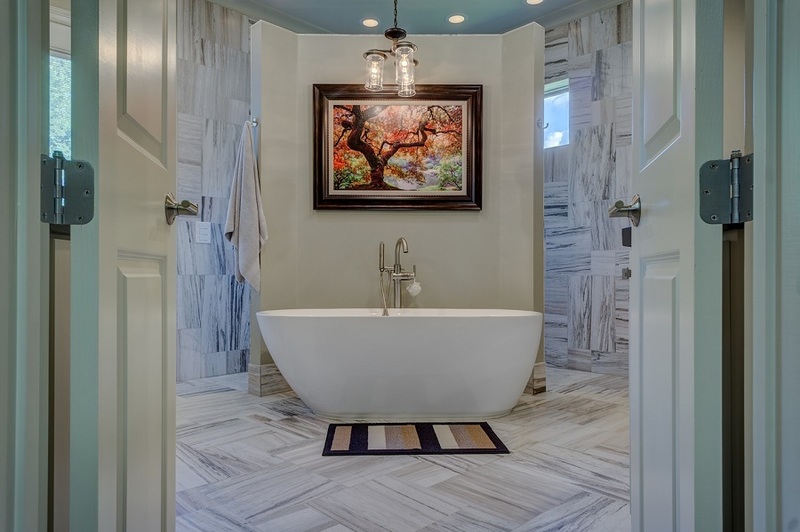 Bathroom lighting trends include hanging pendants and light bars that diffuse light in a room. It is recommended to use LED lighting fixtures because they are the most energy efficient and most importantly, it does not heat your bathroom up. Choose an extraordinary accent color. Chrome shower accessories including the door handle, knobs and even drain can add decorative elements to your bathroom. It allows the room design as a whole to feel clean and open but not in an overwhelming feeling. Add a row of tile. Adding a row of contrasting or decorative tile, it will act as a backsplash and eventually add interest to your unadorned bathroom. This bathroom decorating idea is also great for budget-friendly remodels since you need only a small amount of tile. There is no need to be afraid when mixing prints and textures in your bathroom decor. Good example is combining the textured rug and metallic stool, adding panache to the navy-and-white-print shower curtain. You can choose a single color when decorating a bathroom with multiple prints and patterns for more accents. Do not just use basic towel hooks that are sold in the bath department. You should think out of the box when it comes to the selection of more decorative shelf-and-hook combo. This can be a good bathroom decorating idea to display accessories and toiletries above and hang towels and robes below. If your bathroom tiles are boring and you cannot do much about them, try using removable adhesive tiles that can be found in home improvement stores as well. They are easy to cut and install, appearing like the real deal and it can be removed without damaging the surface behind it. De-clutter your bathroom to give it a freshly updated look. You can add pull-out drawers into a cabinet for an upgrade. Standard sizes of pull-out drawers are available at most home improvement stores. Other things you can add are floating wall shelves, wall-mounted baskets, as well as small furniture-style cabinet. Decorate the top of the toilet. If there is enough space about the toilet bowl, you can use to create another personal space for any decoration or bathroom stuff. Using tray can display a pretty vase of flowers and books without danger of them slipping off. Decorate it like you would your bedroom. This is one of the most functional rooms in any kit homes, which is second only to the kitchen. But it can still have all the comforts you like found elsewhere in your home including cheery fabrics, pretty fixtures, and a place to sit. Candice Larson is a lifestyle and business enthusiast. She’s writing anything under the sun. Candice works for ad firm and taking post-grad school.